A drug to treat extreme heart pain is no longer available for a group of patients in Canada, forcing some to head to the U.S. and pay almost $1,000 a month for treatment, while others are just enduring the pain. Efforts by their doctor to bring the drug, Ranexa, to Canadians via Health Canada’s Special Access Program, have stalled over confusion about which company is able to supply it. One of those patients, Denise Johnston, told CTV News she has been diagnosed with a dysfunction in the small blood vessels of the heart. It’s not something that can be fixed with heart surgery, which is a treatment for blockages in the arteries. “The pain was bad enough I truly believed I was having a heart attack,” Johnston said. After seeing several doctors, Johnston saw Dr. Sedlak, who decided that she would be a good candidate for Ranexa. At the time, the drug was being provided through a compassionate program free of charge by drug manufacturer Gilead Sciences, she said, adding that she saw immediate results. “Right away, the symptoms just minimized dramatically,” Johnston said. “The drug took the edge off and allowed me to live my life normally." Johnston is one of around 50 patients who are uniquely suited to get Ranexa, which is approved for use in the United States but not approved in Canada. But last year, Gilead Sciences told those patients that it would be cancelling the five-year-old compassionate use program. The company told CTV News it wanted to give patients a year to find other options. “We made the decision to discontinue access to Ranexa through the SAP consistent with the decision not to commercialize Ranexa in Canada. Ranexa is a medication taken for a chronic condition; we would not be able to continue supplying the product for patients without commercial supply,” said company representative Karen Chow in an e-mail. Finding another option was a tall order for Johnston, who said she had already tried so many other alternatives. She set her hopes on an application by Dr. Sedlak to Health Canada to get a generic version of Ranexa, ranolazine, from the supplier that provides the drug to much of Europe, Italian manufacturer Menarini. The price in Europe, according to Dr. Sedlak, is between a third and a quarter of the price in the U.S. They got devastating news in July from Health Canada, which told one of Sedlak’s staff that Menarini and Gilead are business partners, and that Gilead owns the rights to Ranexa in Canada. The deal wasn’t to go through. Sedlak is able to write prescriptions in Washington State, where Ranexa is approved. Johnston took the prescription there to a pharmacy, and paid the roughly $900 CAD. “At first, they wouldn’t let me pick it up. They said it was too expensive and the head pharmacist wanted to meet with me. He said, 'Are you sure you want to do this? Do you not have coverage?' He was shocked. He thought Canada was way ahead of us,” she said. Health Canada told CTV News that it was Menarini that told the agency it couldn’t supply the generic version of Ranexa. “The decision to supply a drug via SAP is at the discretion of the manufacturer,” said spokesperson Maryse Durette. “Health Canada cannote compel a manufacturer to supply a drug via SAP. For Sedlak, it was an unacceptable situation: Menarini, which did not have the rights, couldn’t supply the drug. And Gilead, which had the rights, wouldn’t supply the drug. “I think there’s been a lot of frustration behind this,” she said. But when CTV News contacted the drug companies, we heard a different story. 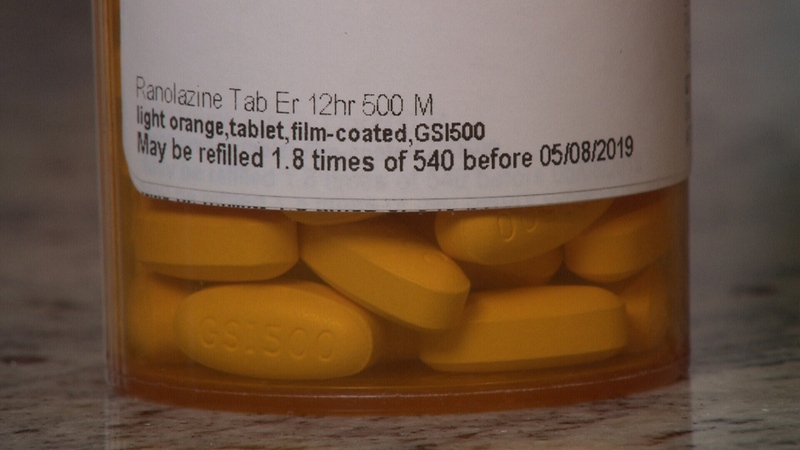 Gilead told CTV news it had not prohibited the manufacture of generic Ranexa, ranolazine, in Canada, by other companies. “We have not asserted any patent rights related to Ranexa in Canada, and we will not stand in the way of other companies interested in distributing generic ranolazine in Canada,” Chow said in an e-mail. It was hopeful news for Johnston and Sedlak, who have now started a new application to Health Canada using these new statements. But it shouldn’t be just up to a company to decide to supply a drug when there is patient need, said NDP Health Critic Don Davies. “We’re hearing too many stories like this where drugs that are available in other parts of the world can’t get to Canada, and Canadian patients are putting their health at risk,” Davies said. “If that leaves a gap in the market, one of the things the government should look at is compulsory licensing. If a patent holder has exclusive rights to produce a medication but they’re not doing it, they should be compelled to do it on reasonable terms, so Canadians aren’t left with a theoretical medication they simply can’t access,” he said. 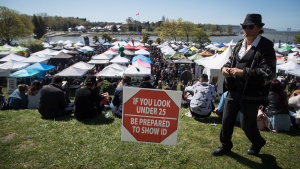 Another problem: there are a lot of regulations that a drug company has to go through to get approved in Canada, and the market size, at around 36 million people, isn’t that large, said Marc-Andre Gagnon, an associate professor at Carleton University. Even if a drug can be approved nationally, each different provincial health plan or private plan may or may not cover the drug, or may negotiate a price down. “For some drugs, when it’s complicated, Canada is not a big market, it’s completely fragmented, and some companies say it’s simply not worth it,” he said. A bottle of ranolazine tablets is seen in this image from 2018.